Microsoft is poised to release Windows 8.1, a deep and crucial revamping of the Windows 8 ideal. The code is final (though Microsoft reserves the right to tweak it further), and the time for speculation is over. Does Windows 8.1 atone for Windows 8’s sins? Yes and no, and that answer is utterly appropriate. More than being just another update, Windows 8.1 is a lesson in true compromise—for Microsoft, and for us. For Microsoft, the “no compromises” mantra guided Windows 8’s development. PC or tablet, modern apps or traditional desktop software, glittering aesthetics or buckle-down productivity, Windows 8 was the operating system that was supposed to deliver it all. But a funny thing happened on the way to ubiquity: Microsoft’s “everything and the kitchen sink” approach to its new-look operating system wound up, well, pretty darned compromised. Rather than delivering a seamless experience, the modern UI and the desktop interface gave Windows 8 a warring, “Jekyll and Hyde” feel. To make matters worse, the operating system had a nasty habit of ripping you away from one interface and unceremoniously dumping you into the other. The modern UI—while gorgeous—felt half-baked at best, chock-full of byzantine interfaces and missing functionality. And in a bid to push everyone into the modern mobile age, Microsoft eradicated the beloved Start button and made booting directly to the desktop impossible. 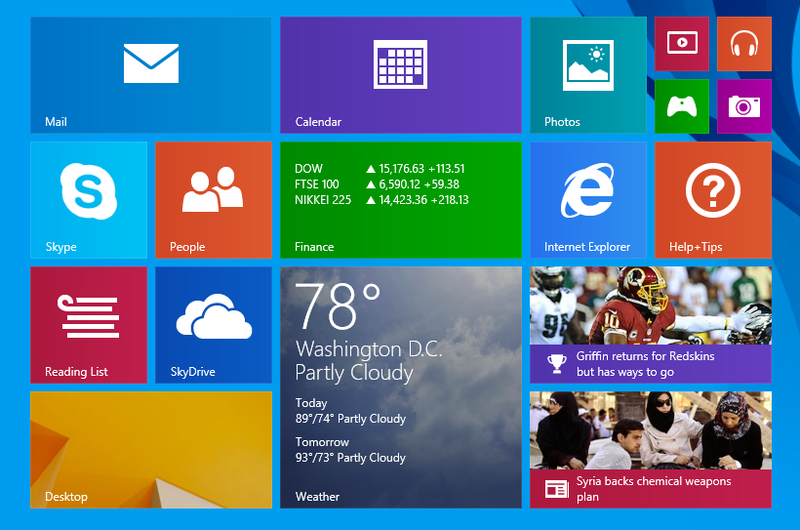 More than just another update, Windows 8.1 is a lesson in true compromise—for Microsoft, and for us. PC devotees felt jilted, and complained about their perceived second-tier status. Computer sales plummeted. Now, less than a year later, longtime Microsoft CEO Steve Ballmer has announced his resignation. No compromises. 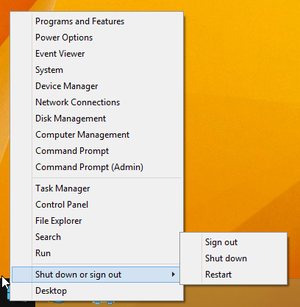 The new shutdown options in the power menu. That effort to meet in the middle is embodied by Windows 8.1’s new boot-to-desktop option. Although the feature is as simple as simple could be, and buried deep in an obscure submenu, its existence is a boon to desktop diehards who resorted to arcane workarounds to avoid Windows 8’s mandatory Start screen. The boot-to-desktop option makes using Windows 8 on nontouch devices far less frustrating; ditto for the new shutdown options found in the ‘Power User’ menu, which you can open by pressing Windows-X or by right-clicking the lower-left corner of the desktop. Ironically, while the tweaks stray from Windows 8’s modern-first focus, they help Windows 8.1 inch closer to the “no compromise” ethos by letting a PC be a PC. Not all of Windows 8.1’s desktop tweaks are quite as welcome. For one thing, the File Explorer doesn’t show libraries by default anymore (though you can easily restore them by selecting View > Navigation Pane > Show Libraries). More contentious is the much-ballyhooed return of the Start button—but not the Start menu and its list of programs and shortcuts. 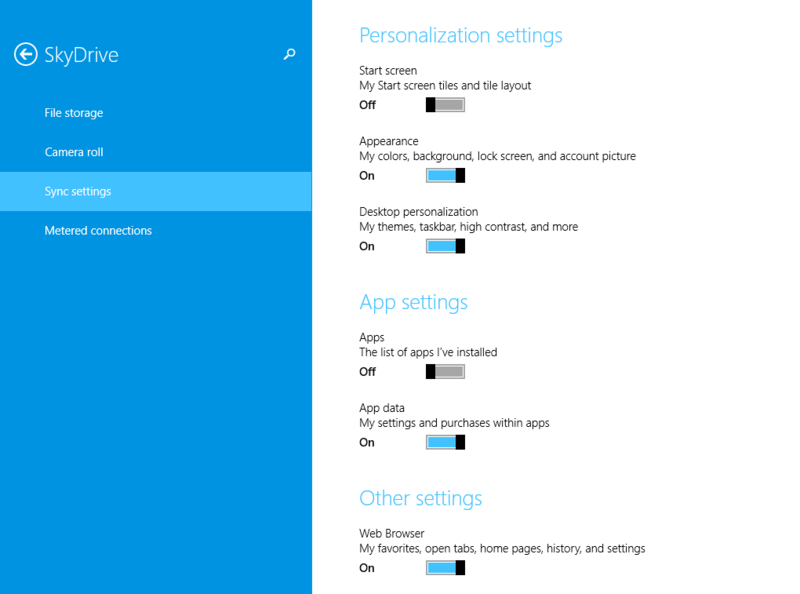 Clicking the Start button deposits you among the live tiles of the modern Start screen. The jump is confusing at first, but it makes sense if you think of the Start screen as a modern Start menu. What’s more, Windows 8.1 allows you to tweak the Start button to open the Start screen’s All Apps list instead, which delivers a much more Start menu-esque experience while still enveloping you in the modern UI. The new approach is a reasonable compromise, but it also demands compromise from you. The new Help + Tips app ensures that assistance for novices is just a click away. The hints don’t stop there. 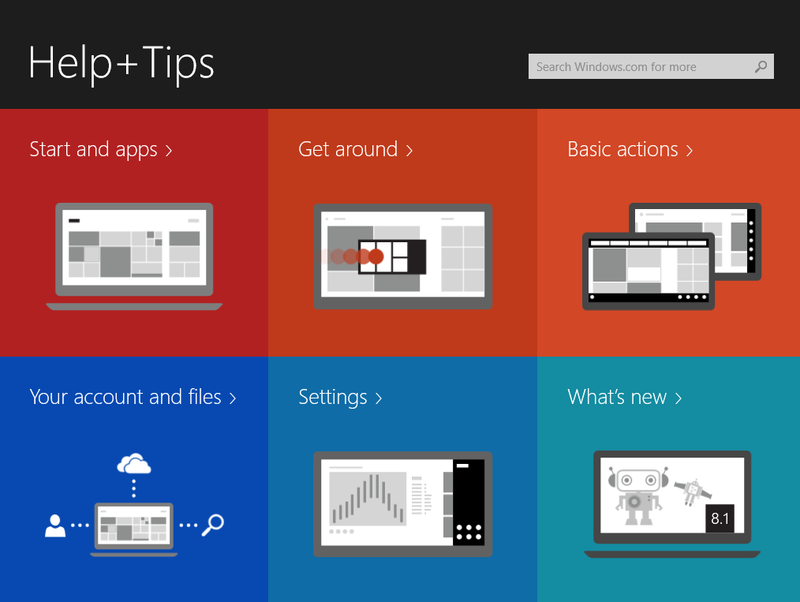 While Windows 8 was lambasted for its hands-off, sink-or-swim approach to guiding users through the revamped UI—it was so bad that many manufacturers preinstalled their own tutorial apps on their PCs—Windows 8.1 is packed with helpful usability clues and improvements. Whereas Windows 8 cast new users into the mix with nary a peep, Windows 8.1 veritably beats newcomers over the head with helpful tips such as the one shown here. Big, bold boxes pop up after installation, clearly identifying the various hot corners and explaining how to use them. A new, baked-in Help + Tips app provides straightforward tutorials on all aspects of controlling your machine, with lush visuals and short animations. A downward-pointing arrow appears when you move your mouse on the Start screen, marking the way toward the All Apps screen. Even the Windows Store received an overhaul for easier browsing. It’s wonderful. Windows 8.1 will still be a shock to new users, but it promises a far easier learning curve than Windows 8 required. Once you’ve dispensed with the basics, Windows 8.1’s ability to have three or more apps “snapped” open at once, complete with the option to adjust the size of each app dynamically, amps up the usability of the modern UI. 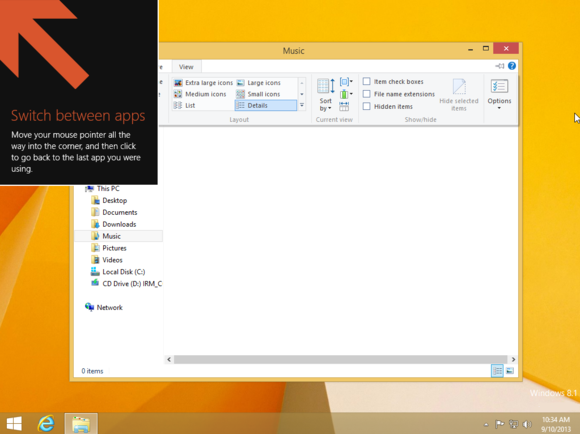 (Windows 8 proper allows only two apps on screen at once, in a 75/25 split.) 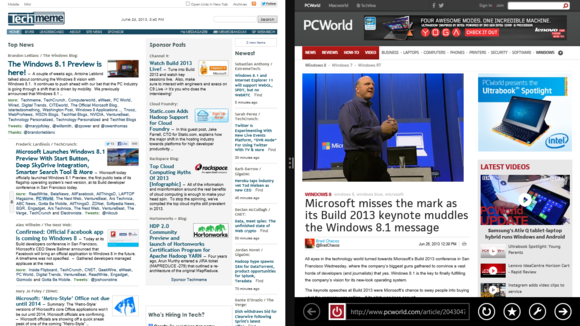 Also new, some apps—such as Internet Explorer 11—can open in multiple windows. The feature is no competition for the variability of traditional desktop windows, but hey: compromise. The free update also beefs up the modern-style PC Settings menu, adding numerous options that previously required a jaunt into the desktop Control Panel. Likewise, the SkyDrive app now lets you browse through your local files, serving as a modern-style pseudo-File Explorer. Again, they’re small tweaks, but the fixes make it easier to stay in your interface of choice. Some of the new options available in PC Settings. Meanwhile, another new option lets you share your desktop wallpaper with the modern Start screen, imbuing the entire OS with a unified feel. Rough patches remain, but switching from the modern UI to the desktop is mostly less jarring and more voluntary than before. Bing Smart Search pulls in results from every corner of your PC, your apps, and the Net. Microsoft has even enhanced the lock screen so that you can answer Skype calls and snap camera shots without unlocking your device. That isn’t to say Windows 8.1 fixes every flaw, though. I’d still like to see some sort of visual indicator for the hidden charm bar, and a more obvious way to shut down or restart the machine. Many options remain buried beneath superfluous clicks and menus, as well. 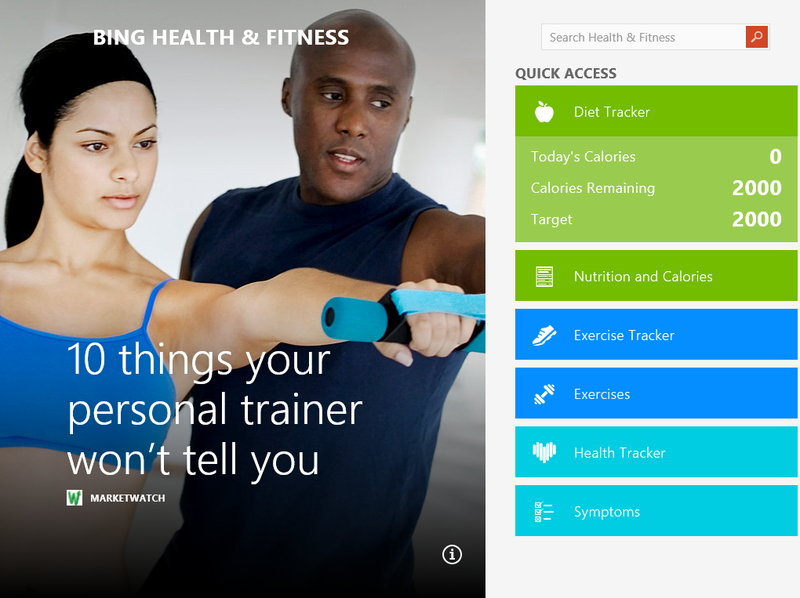 The new Bing Health & Fitness app in Windows 8. By and large, the Windows 8.1 RTM version (that is, the version shared with manufacturers) largely mirrors the Windows 8.1 Preview—it’s packed with an abundance of new features, new hidden secrets, and even a plethora of new apps. Since our previous articles talked about the majority of the fresh features in far greater depth than I could here, I’ll just mention that a slightly tweaked version of the Skype app comes baked in to Windows 8.1, replacing Windows 8’s Messaging app. 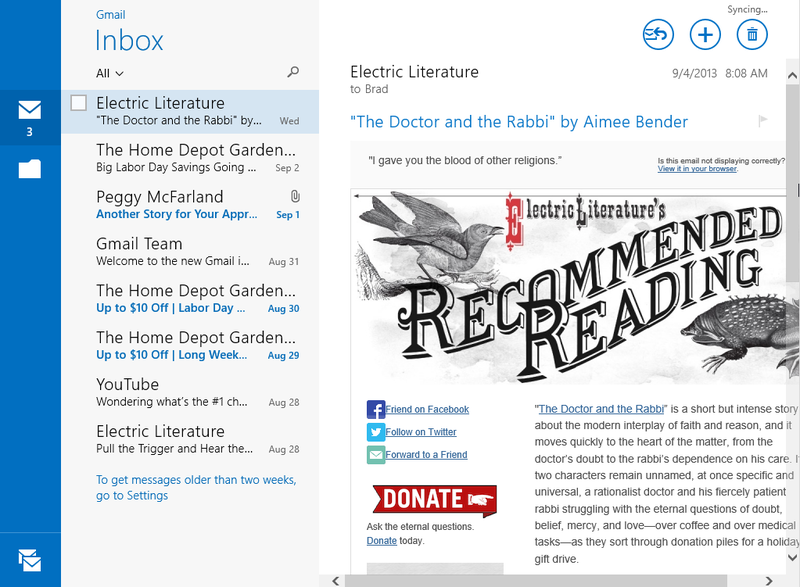 Virtually all of Windows 8.1’s baked-in modern apps have seen an overhaul of some sort; the retooled Mail app shines especially brightly. (Yay for opening mail in a new window!) Rather than diving into the minutiae, let’s take a minute to talk about what these changes mean for Windows. The updated, Outlook.com-style Mail app in Windows 8.1. More than any other operating system before it, Windows 8.1 wraps itself snugly around a Web-centric core. The vast majority of Windows 8.1’s native apps are inextricably linked to Microsoft services and require a connected Microsoft Account to work. SkyDrive hums along silently in the background, automatically saving your data and photos, and syncing more settings across all your Windows 8.1 devices than ever before. (Now included: apps!) Meanwhile, new default settings automatically update all those apps in the background, keeping you on the cusp of what’s new. 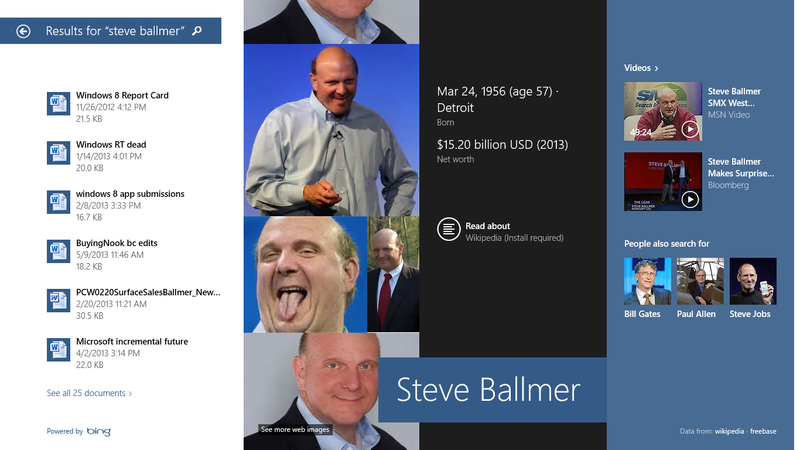 Windows 8.1 embodies the “One Microsoft, all the time” creed in some truly staggering ways. When everything is working smoothly, the operating system creates a deeply personal experience that travels with you across devices. There’s no denying that Microsoft’s new focus on rapid-fire updates—rather than the multiyear development cycles of the past—has helped to whip Windows 8’s originally dreadful native apps into far better shape in comparatively short order. In fact, Microsoft services are so intertwined with Windows 8.1 and are being updated so briskly that the company has warned developers that the RTM release is only kinda-sorta final code; Windows 8.1 and its apps could see further tweaks by the time the update is released to the public. SkyDrive’s sync options are far more full-featured in Windows 8.1. All that said, some people may not appreciate being bound so tightly to the cloud, nor to Microsoft. Conversely, if you’ve been burned by a rogue Windows update in the past, you might not like the idea of a dozen-plus apps constantly updating without warning. Be aware of your settings! The Windows 8.1 Start screen. In all the ways that matter, Windows 8.1 is the operating system Windows 8 should have been, and a glimpse into what the Microsoft of the future could be. Is it perfect? Nope. It doesn’t even contain all the features we’d like to see. 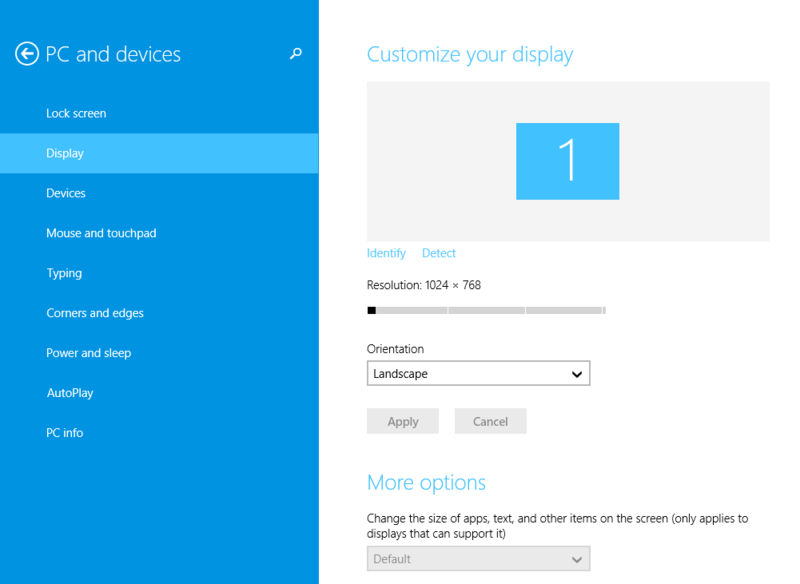 At its core, Windows 8.1 is still a tablet interface mashed together with a desktop UI, a funky hybrid of old and new. The modern UI is still around; compromise runs both ways. But Windows 8.1 makes Microsoft’s formula more palatable—or at least, less bitter—for those who choose to make the leap. Windows 8.1 eases the transition for desktop diehards, granting PC enthusiasts the ability to shun most of the tablet-oriented bits. New tutorials and UI hints will greatly help displaced adoptees. And if you do decide to wade into the live tiles, you’ll find that the modern UI environment in Windows 8.1 Improves vastly over that of Windows 8. As an update, an apology, and a lesson in compromise, it’s stunningly successful. Microsoft still offers little here to win over desktop diehards who snarl at the merest mention of the word modern, but if you’ve already made the switch, you have absolutely no reason to avoid the free update when it hits the Windows Store on October 17.